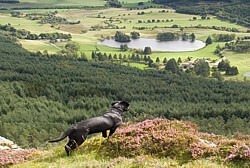 Holiday cottages in the unspoilt wilderness of the Cairngorm National Park. Exceptional holiday accommodation, designed with a discerning eye for style and understated luxury. Visit our website at www.straloch.com for more information. Enjoy a relaxing break with us overlooking the River Ardle at our family run 18th century drover’s inn in the rural, picturesque Perthshire Highlands: coal fires, cosy bar, Michelin guide recommended restaurant. 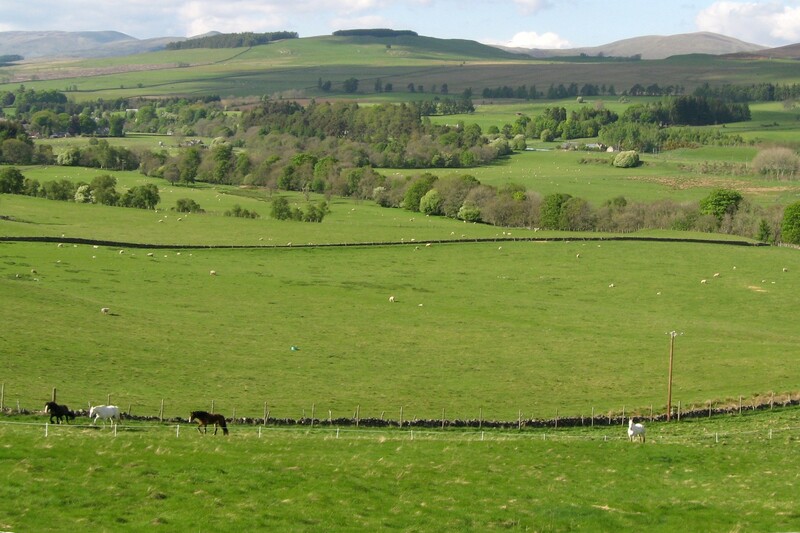 Visit our website at strathardleinn.co.uk for lots more info. 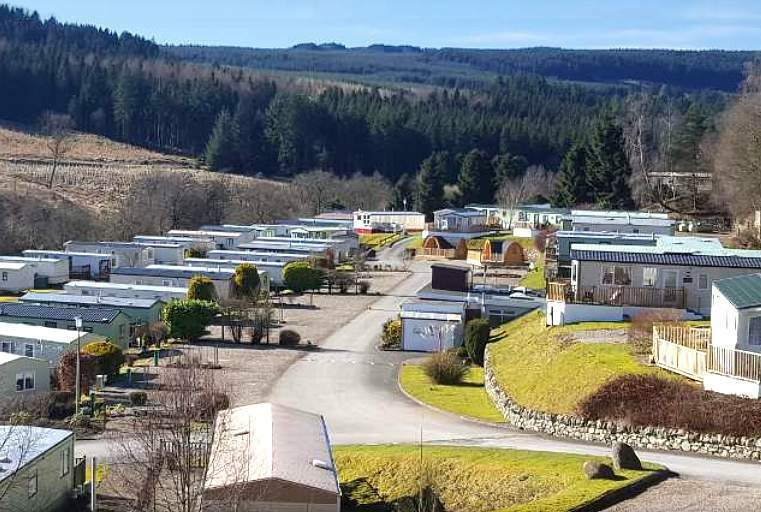 If you're looking for a relaxing weekend escape, owning a caravan holiday home at Corriefodly offers you a perfect tranquil retreat. At Corriefodly you feel at one with nature in a picturesque wooded glen on the banks of the River Ardle in the quaint village of Bridge of Cally. Visit our website at www.woodleisure.co.uk/our-parks/corriefodly for lots more info. 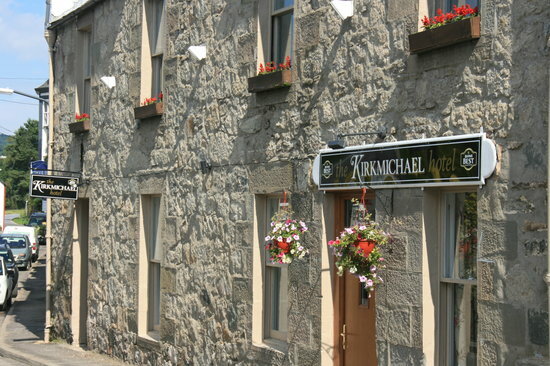 A classic roadside stone coaching inn serving a seasonal menu of Scottish cuisine, this unpretentious pub with 5 guestrooms is a 10-mile drive from the Edradour Distillery's and a 12-mile drive from Pitlochry. 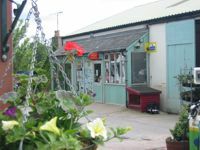 Petrol station, coffee shop & Internet, groceries, gifts, fresh fruit & veg, bread, local meat, off licence and lots, lots more. Local deliveries free on orders over £10. Delivery to your holiday cottage prior to your arrival – just fax or phone us with your order. Opening time: Sunday - 8.30am - 1pm . Monday - 7.30am - 5.30pm . Tuesday - 7.30am - 5.30pm . Wednesday - 7.30am - 1pm . Thursday - 7.30am - 5.30pm . Friday - 7.30am - 5.30pm . Saturday - 7.45am - 1.00pm. Services include: Newspapers and Magazines; Confectionery; Tobacco & Cigarettes; Dairy products; Fresh fruit & Vegetables; Fresh morning rolls; Bread & Cakes; Local Honey; free ATM facility (cash machine); Off Licence. And, of course, good old fashioned service.